Information on people, ideas & technologies ​affecting healthcare access, cost, and quality across the globe. During the summer of 1956, the field of Artificial Intelligence (AI) was founded at a workshop at Dartmouth University. Simply put, AI is the practice of leveraging algorithms to parse data, learn from it, and then enable proactive, predictive interventions. As we entered the early decades of the 21st century, access to large amounts of data (known as "big data"), faster computers and advanced machine learning techniques were successfully applied to many problems throughout the economy thus expanding the application of AI. This has not been the case in healthcare. Unfortunately, most hospitals don't have technology plans that align well with their strategic goals; and the ability to integrate AI technology into hospital and health-care systems has now become the difference between life and death. 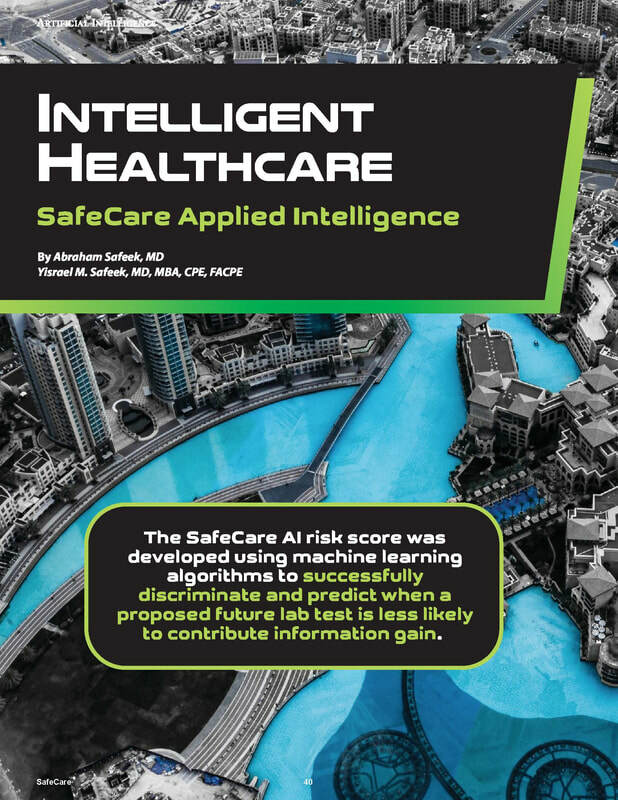 In this issue, we are taking an in-depth exploration into how The SafeCare Group® has spearheaded and revolutionized the field of AI within healthcare to realize game-changing clinical, operational, and financial opportunities for hospitals. 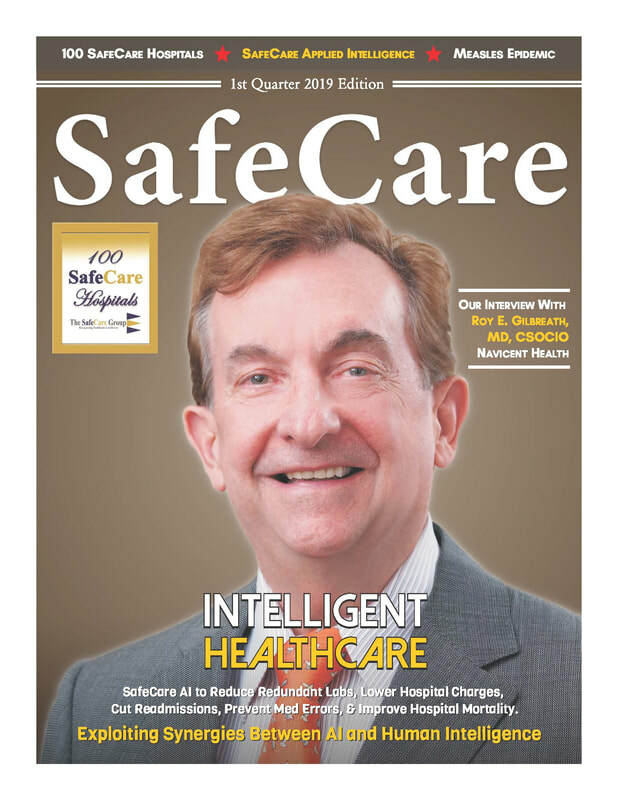 These articles demonstrate how SafeCare Applied Intelligence (SafeCare AI) software offers predictive insights to aid proactive real-time decision support and target opportunities of care in order to: Reduce Redundant Labs; Cut Avoidable Readmissions; Prevent Medical Errors & Hospital-Acquired Infections; and Improve Medication Safety. 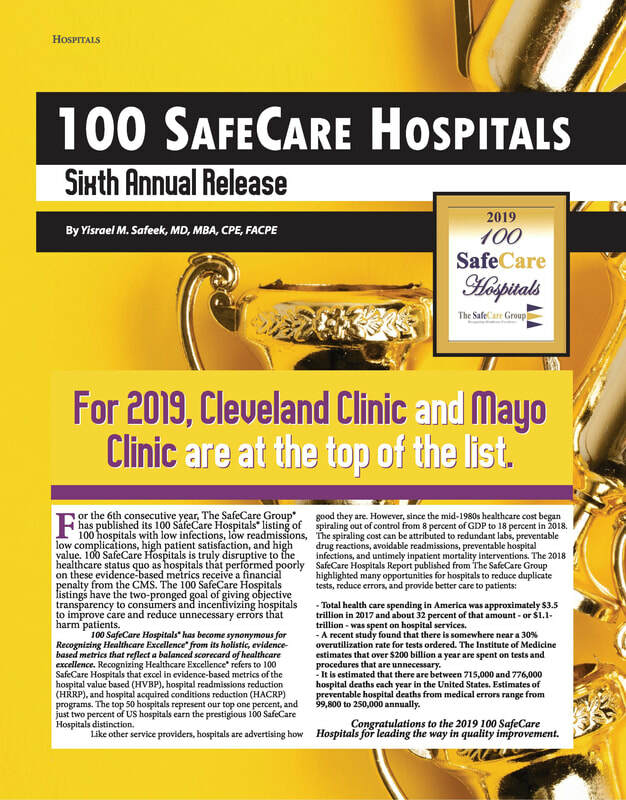 ​​​For 2019, Cleveland Clinic and Mayo Clinic are at the top of the list. ​​​​In your administrative role with Navicent Health, you are responsible for system of care integration across the continuum of care from the patient's perspective, system quality and safety, and medical informatics. 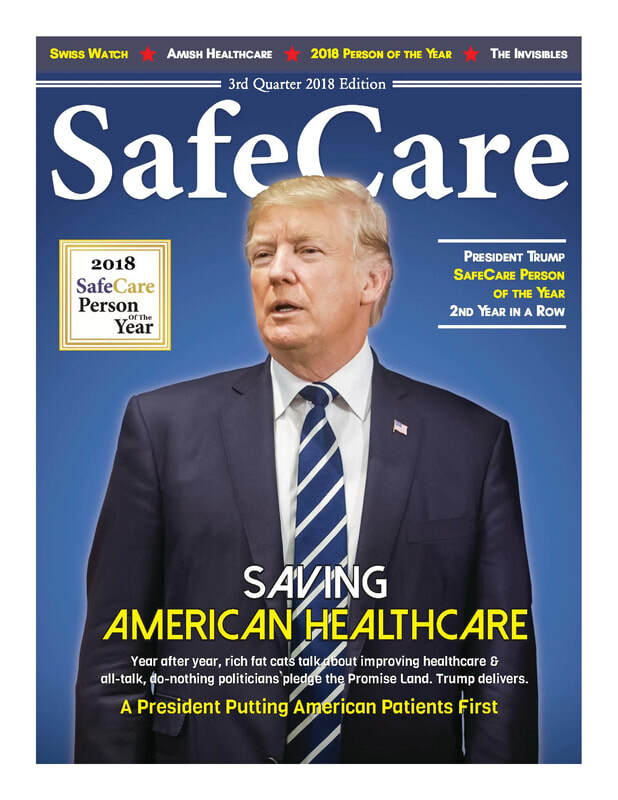 ​​​​Congratulations on achieving 100 SafeCare Hospitals for the fifth consecutive years and top 1% in the nation for low readmissions, low complications, low infections, high patient satisfaction, and great value.